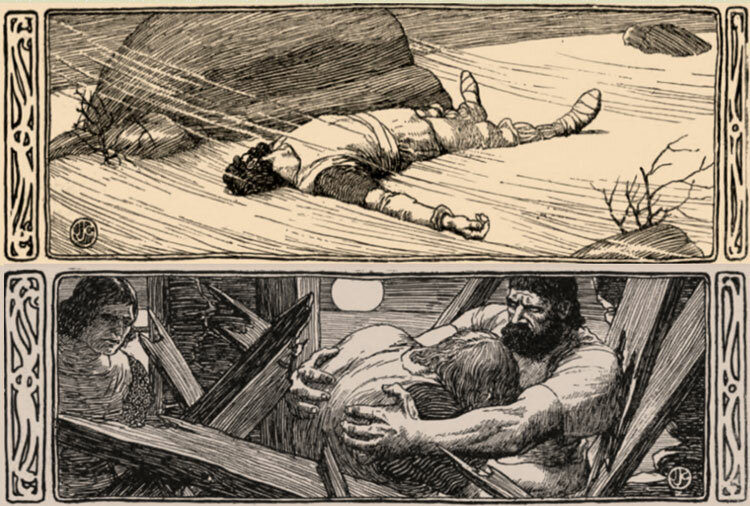 Two drawings by American illustrator Joseph J. Gould (1880–1935) for “Grettir at Thorhall-stead” in Everybody’s Magazine, April 1903. The Trojan War left to posterity the character of Hector; the wars with the Saracens gave us Roland; the folklore of Iceland produced Grettir; the Scotch border poetry brought forth the Douglas; the Spanish epic the Cid. But the American epic, just as heroic, just as elemental, just as important and as picturesque, will fade into history leaving behind no finer type, no nobler hero than Buffalo Bill. 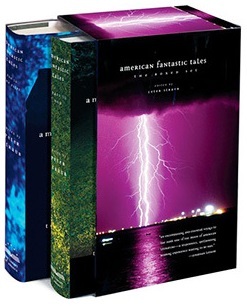 For decades literary scholars and biographers, who had pigeonholed Norris in the vanguard of American naturalism, didn’t know what to do with this handful of writings based on medieval legends and featuring supernatural elements, and you will find nary a mention of them in most of the scholarship on his fiction. They were largely forgotten or ignored until the science fiction historian Sam Moskowitz plucked “Grettir at Thorhall-stead” out of obscurity for inclusion in the 1971 anthology Horrors Unknown. In the decades since, other long-forgotten stories by Norris have been included in horror and fantasy collections, but “Grettir at Thorhall-stead” is unique among the rediscoveries for its blending of Norris’s dual fascination with medieval legends and supernatural yarns, and it was selected by Peter Straub for inclusion in the Library of America collection American Fantastic Tales. Thorhall the bonder had been to the great Thingvalla, or annual fair of Iceland, to engage a shepherd, and was now returning. . . . If you don't see the full selection below, click here (PDF) or click here (Google Docs) to read it—free!